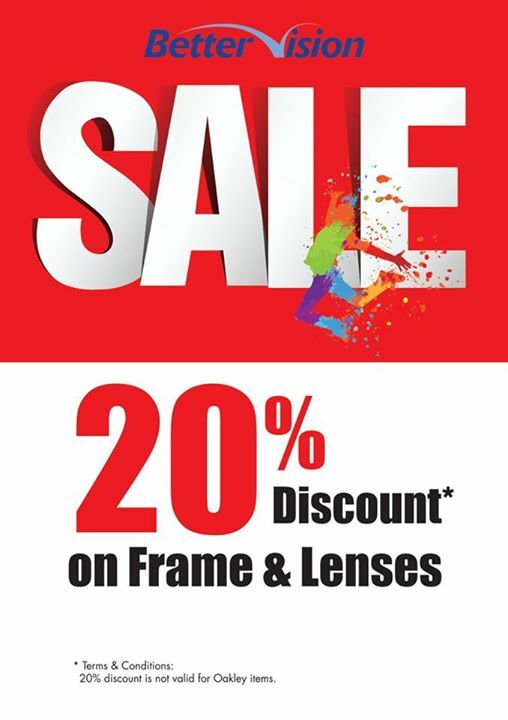 Better Vision brings you 20% discount on frames and lenses! Hurry up to your closest Better Vision's store and take advantage of it. 20% discount is not valid for Oakley items.